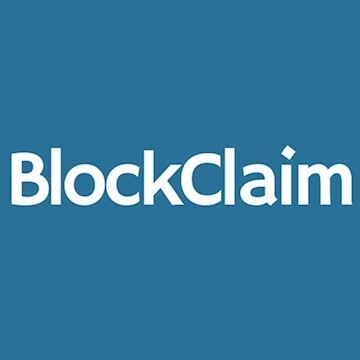 Thank you for registering your interest in BlockClaim. Imperial College based insurtech startup solving fraud and claims problems for (motor) insurance. Increasing fraudulent claims detection and reducing claims processing time for motor insurance. This allows insurers to reduce costs, increase customer retention and provide a clear competitive advantage. They do this by combining state of the art technologies such as AI and Blockchain and integrating them with insurers existing workflow in a non-intrusive manner, through a plug & play module. Pilot launched with insurer and with top insurance executives as advisors (Admiral, Generali). They combine telematics data (driving behaviour) with insurer data (driver) and open source data (geo-location, weather, credit risk score, etc ...). This data is fed into the AI/Fraud filter for each claim. The AI calculates a detailed fraud probability. This fraud risk score (low, medium, high risk) gets fed into the blockchain, on which all the actors in the process are connected (claims handler, garage, etc ...). The blockchain automates the low risk claims (approx. 40%), which reduces the settlement time from 25 to 3-7 days; and redistributes mid-high risk claims to appropriate parties within the insurer and the AI continually gets better through a feedback loop. Claims Fraud and inefficient Claims Processing cost the insurers up to 30% of their total revenue (£6 billion/year just in the UK). The problems include a lack of data integrity, minimal fraud filtering and the presence of various actors in a claim. Most problematic claims are crash for cash and fake whiplash. By eliminating Crash for cash fraud, insurers could save £344 million pounds yearly or £115 per claim. Automating low risk claims shaves off 21% of the claim cost, thus saving insurers £327/claim or £998 million per year. Further redistribution of claims volumes to relevant actors, together with their situational data reports, makes claims handlers up to 50% more efficient. Straightforward SaaS model which charges per processed claim. They make/save the insurer £225 per processed claim. They charge £45 per processed claim + a set up fee of £50,000. 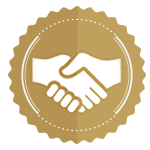 £45 is only 20% of the recuperated cost that our solution offers, or £2 for every £10 generated and less than 2% of the average cost per (non-injury) claim, which is £2,667. Context: nearly 3 million motor claims are processed in the UK yearly, for a total value of over £6 billion. This does not include fraud, which adds another £835 million in cost. They only need to process 10,000 claims per year to break even (or 0.3% of motor claims in UK).